Say goodbye to minor imperfections with dental bonding. From crunching down on ice to not wearing protective gear during a game, we gamble with our smiles. It’s not surprising when our teeth retaliate with chips and cracks. Luckily your Westminster, MD dentist Dr. Pari Moazed can often correct these small issues quickly and non-invasively with dental bonding. Dental bonding is a simple cosmetic procedure performed by your Westminster, MD dentist to conceal minor dental imperfections and improve your smile’s appearance. Dental bonding uses tooth-colored resin (the same material used in a dental filling) to cover over these imperfections without needing anesthesia or pain medication. Sometimes dental bonding is also used in conjunction with tooth reshaping or recontouring, in which your Westminster, MD dentist uses a special instrument to remove small amounts of enamel to change the shape and size of a tooth. What does the dental bonding procedure entail? Unless you are having a cavity filled, this procedure is painless and will not require anesthesia. This is what makes dental bonding an appealing cosmetic treatment for many of our patients. We will first choose the proper resin shade to match your tooth and then apply the resin. This resin is easily moldable so we can shape it around the problem areas to create a healthier-looking tooth. One we have the desired shape we will harden the resin with a dental laser. 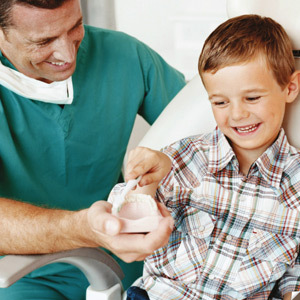 Dental bonding takes anywhere from thirty minutes to one hour per tooth. While dental bonding is wonderful procedure for most people, it’s not the best solution for everyone. Those with small dental flaws will be more likely to benefit from dental bonding than someone with more complicated or severe dental issues. Since this procedure is non-invasive, the results aren’t as significant as getting dental veneers or other dental work. However, the only way to find out if dental bonding is right for your smile is to consult your Westminster, MD dentist. When you come into our office we will be able to examine your smile to tell you whether dental bonding is right for your needs. Call us today to schedule a consultation.